A little while ago Derek Hatton was on a political show talking about Labour party politics and Michael Gove’s “New Militancy” nonsense. All perfectly sensible. Hatton was the poster boy for 80s militancy, so dragging him out for that made sense. There were tweets flying back and forth about this show. (It was This Week with Abbot and Costello Portillo and the hairstyle that is Andrew Neil, if you’re wondering.) A few tweets were from 20-something Labour party members asking who Derek Hatton was. So myself and a few others told them. Militant Tendency member, Trotskyist, etc. All good. But then came the responses. Say that again, says I. And they did. More than one person managed to conflate various combinations of Militant Tendency (1985ish), Winter of Discontent (1978), John Smith (1992), and the three-day week (1973). It was this that made me realise that a section of the membership are in their 20s and can barely remember a time before Tony Blair. I mean a 26-year-old would’ve been 9 when Tony Blair became leader, and mere toddlers when Kinnock became leader on 2 October 1983. Not that I’m ancient or anything. I don’t remember Wilson, Gaitskill, Atlee, or even Callaghan. I just happen to have studied them all. 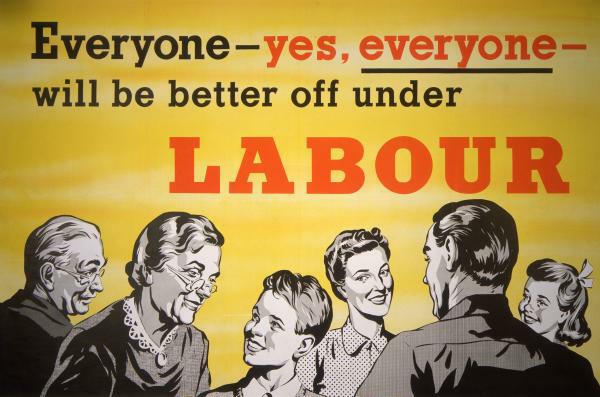 There was a time when Constituency Labour Parties and Trade Union branches would make sure people knew the history of their movement, but that doesn’t really happen today. Today’s organisations are much more focussed on being election-fighting machines, rather than places to debate, deliberate, and discuss. 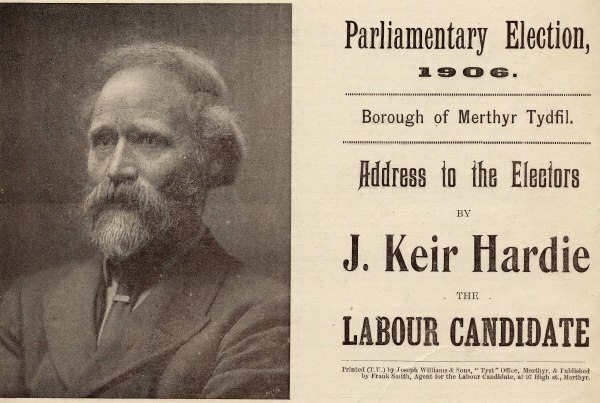 historian and blog the history of the Labour Party. It’ll be an ongoing project which I’ll probably post on a separate page of this blog, so as not to interfere with my usual laughing-at-Cameron posts. I’ve dug out my old papers and am working on the first post at the mo, hopefully to post next week. I’d really like to know what you, the people who read my blog, think of this idea, so please do comment with well, er, comments I suppose. Oh, and suggestions and ideas too now I come to think of it. Next Are the Tories really trying? Rob, I think this could be really interesting – and important as well. You’re right that younger party members don’t know the history of their party, but had you thought that the same applies to voters as well? More so probably, since the average voter’s knowledge of politics comes from newspapers and TV where the coverage is seldom in a historical context, usually focused on some trivial but high-profile incident in the last 48hrs and ivariably crap. No-one under 30 was a voter when the Tories were last in power. Like others I think it’s a worthwhile effort and will enjoy reading what you put together. Hopefully it’ll reinforce but also elucidate my own understanding of our movement. I’m also very much looking forward to the continuation of this. As a 21 year old, I just about remember Blair coming to power, but not much of his first couple of years in power. I am fully aware that my knowledge of British political history is atrocious. A lot of what I first learned about Thatcher and Major was (and is) through the lens of Brass Band players and culture, which while interesting, possibly isn’t as even handed as it could be! I can recite the names of US presidents (and most of the losing candidates) back to the mid-20s. Sadly I fall down on dates (and names) of British Prime Ministers not much before Thatcher. Looking forward to it, sounds an interesting project. Even more worthwhile if you can get some education and context into the younger members of the party! Very much looking forward to the continuation of this, although significantly over 26 and reasonably aware of party history myself, I totally agree that we need to keep our heritage alive.